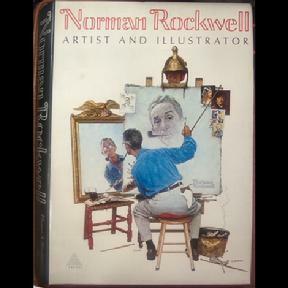 Thomas Buechner, a past director of the Brooklyn Museum (1960-71) has written the definitive Rockwell story in this beautiful book. 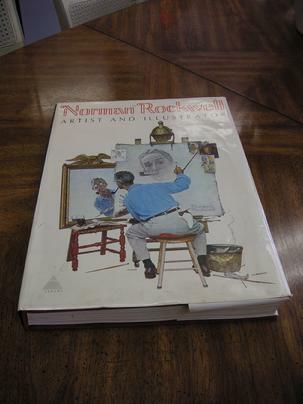 In the first fifty-six pages he reveals all you really need to know about the artist including a fascinating few pages about Norman's painting technique and nicely it shows some close-up examples of this. The rest of the book looks at each decade up to the Sixties with relevant illustrations. *The size is 17 inches by 12.5 and weighs 11 pounds (compare these with the Amazon Product Details) all editions seem to have 328 pages. 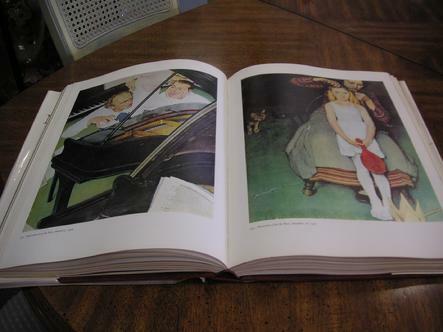 * The 1970 edition has 11 gate-folds printed on thick stock, two of which are 45 inches wide. 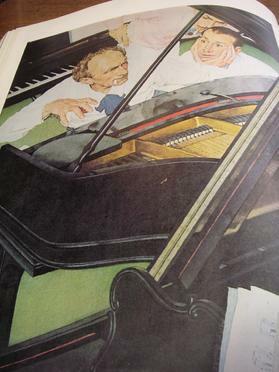 * There are twenty tipped-in paintings (when was the last time you saw these in a book?) approximately 10 inches by 11, including the one on the cover. With a bit of care you could remove your favorites, frame them and have your own Rockwell gallery. * There are 614 illustrations with 111 in color, because different papers have been used the screen various between 150 and 175. The decades are separated by thick brown stock with gold lettering. I haven't seen the latest edition and maybe it does have fold-outs and tipped-in pictures though I doubt it looking at the price. 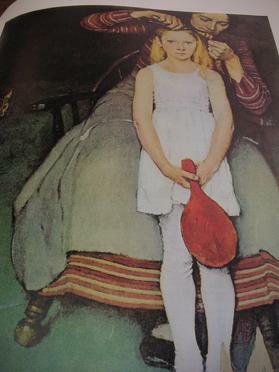 I'm sure the text and paintings are the same in all editions but the huge 1970 version, because of way it is produced, is the one to go for. 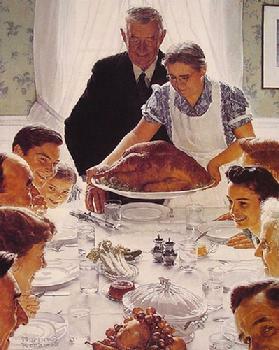 It really is a Rockwell treasury.